Elvis Blue has exceeded album sales in excess of 100 000, eight Top Ten radio singles, and more than 500 live performances to his credit Elvis Blue is reckoned as one of the most successful artists in our country. Today he’s reaping the rewards that come from great storytelling, striking lyrics and enchanting melodies. His latest album and chapter, “AFRIKAANS” along with his last album, “JOURNEY” and his 2010 self-titled Universal Music debut “ELVIS BLUE” have all set a very high standard and aroused a great deal of positive criticism of the fans of great original music. Elvis is the first Afrikaans artist to scale the Top Ten of the iTunes Store chart -- and he cracked it on the very first day of the release of “AFRIKAANS”. Elvis’ multiple SAMA (South African Music Award) nominations and 3 wins, over the past three years, also highlight his talent as one of the most talented song writers and performers in our country. In November 2013, a mere two months after “AFRIKAANS” was released, the album was certified as a Gold-selling album. Elvis as well as the album received 5 Ghoema nominations in 2014 and walked away with Ghoemas for BEST MALE ARTIST as well as ALBUM OF THE YEAR, the highest honours in Afrikaans music. He worked with the likes of seasoned producers Brian `O Shea, Crighton Goodwill and Theo Crouse on his last album, “JOURNEY” in the studio. “Sharing time and space with great musicians and producers is a privilege and a pleasure,” Elvis says. “It’s a great comfort and feeling to know that you’ve got a qualified team shadowing your every move. If only to make it better,” Elvis said after the recording. The eleven songs he wrote on ‘AFRIKAANS” translates to a broad audience on a multitude of levels. “It’s for everyone to enjoy,” Elvis says. The two hit-singles, “REDE OM TE GLO” and “SPORE” reflect a very spiritual side of the musician. But let’s backtrack a little. In 2010, Elvis was the winner of M-Net’s SA Idols and did the unselfish gesture by sharing half his winnings with runner-up Lloyd Cele. Since 2010 Elvis’ musical landscape changed fundamentally. 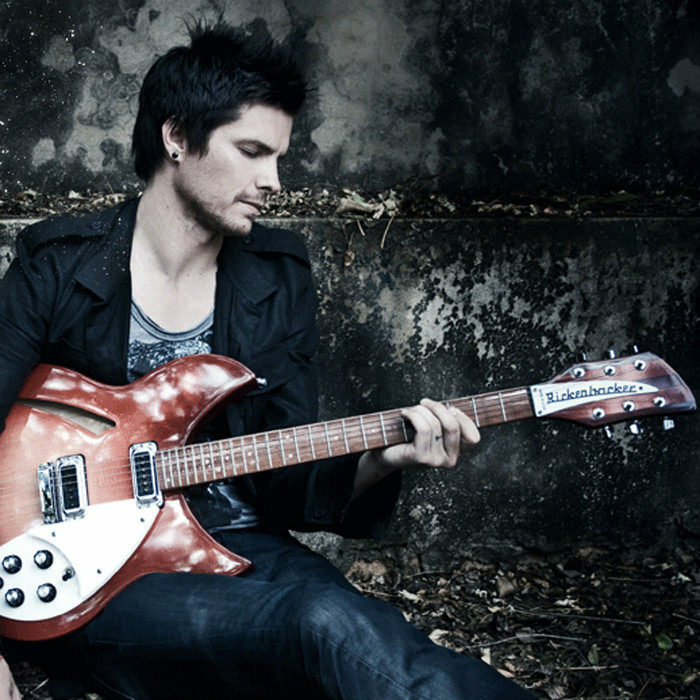 In November 2010 he released his album “ELVIS BLUE”, which was immediately received well by audiences, On the album’s release it shot up the radio and sales charts and today enjoys platinum sales status with sales in excess of 50 000 copies, all powered by its three smash-hit singles “THINGS MY FATHER SAID”, “LIGHTHOUSE” and “SAVE ME”. In April 2012, Elvis took home the SAMA for Best Adult Contemporary Album for the double-disc special-edition of his self-titled album, “ELVIS BLUE”. In late 2011 Elvis began work on his second album “JOURNEY”. He travelled early 2012 to America to co-write with New York-based Jeff Franzel, the man behind the massive adult contemporary hit single “LIGHTHOUSE”, and LA hit-maker Pam Sheyne. The result was the stellar smash Number One hit single “LIFELINE”, and an album peppered with evergreen favourites. Before winning SA Idols, Elvis strut his stuff like many artists in different bands. Elvis started a project where he sang under the name MONO. When MONO’s record deal came to an end, after three albums, Elvis decided that he would move to George where he would become a music teacher, write his own music, and live a quiet life. An Afrikaans contemporary album followed. “The first album I did was under the name Jan Hoogendyk, my real name, and the album did really well,” he recalls. “It won an ATKV Lier award.” His second Afrikaans album, “ONTSKEMER” which he also recorded under the name Jan Hoogendyk, was nominated for a 2010 SAMA Award. While living in George, Elvis met the friend whose name he adopted in 2008. “My wife worked at a hospice and children’s home and I used to play guitar for the kids and patients there. I met this HIV-positive boy who wanted to be a keyboard player, and his name was Elvis Blaauw”, he says. When he passed away in 2009, he decided to pay tribute to this amazing young man and Jan Hoogendyk adopted the name Elvis Blue. Elvis Blue admits the Afrikaans songs on “AFRIKAANS” excites him as much as his English songs like “THINGS MY FATHER SAID”, “LIGHTHOUSE” and “LIFELINE” when he first heard them on the radio. And since Elvis Blue has received success from ‘’REDE OM TE GLO” and ‘’SPORE” already topping the charts, chances are good that a few of the other songs on this magnificent album will follow suit. “I’m baring my soul,” he explains. “This album and its songs are a chapter, a document in time, of emotions – all neatly corralled together and which tell a story comfortably familiar to us all.” In April of 2014 Elvis was honoured with 2 awards for his hit album at the annual Ghoema-awards which was held at Carnival City . Elvis won in the category BEST MALE ARTIST as well as ALBUM OF THE YEAR. Hot on the heals of this achievement was yet another SAMA for this homegrown Talent, for BEST CONTEMPORARY ALBUM. A dedicated husband and father, Elvis dedicates time and energy helping alleviate poverty by promoting education through Life Community Services in George, as well as empowering children through music at The Casterbridge Music Academy. Another first in the Afrikaans industry is the unique production “HART EN SEE” which Elvis and well-known singer Laurika Rauch will perform this year in April at the Absa KKNK. This music production is another dream to come true for Elvis – to collaborate with one of South Africa’s biggest music legends. Laurika and Elvis’s differences and their tangents will manifest in “HART AND SEE” in a lyrical music journey which will enchant audiences and put both singers’ talent in the spotlight. Elvis Blue is a man with a mission -- and no doubt this gifted artist and songwriter will enchant more listeners this year with his magical music and create more and more number one hits!